On 1st October 2017 the Ministry of Justice will introduce a Pre-action Protocol for debt claims. The protocol relates to the recovery of debts by a business from an individual or a sole trader. 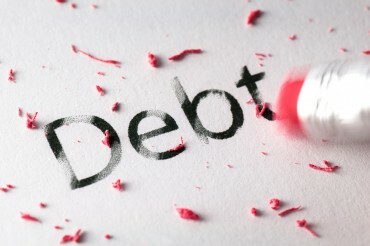 Therefore it will not apply to business-to-business debts unless the debtor is a sole trader. Parties to a claim must follow the new procedures and requirements of the protocol before entering into any litigation for debt claims. Debt Claims: What has changed? The Protocol introduces a 30 day period for the debtor to respond to the Letter Before Claim using a Reply Form in a prescribed format. Previously 14 days had been considered a reasonable time for the debtor’s response. If the debtor fails to respond with a Reply Form, then creditor may issue proceedings at the end of the 30 day period. If the debtor does respond with a Reply Form within the required period, then the protocol requires the creditor to wait 30 days from the date of receipt of the completed Reply Form (or from any request for disclosure of documents) before starting proceedings. A creditor may now end up waiting a significant amount of additional time from the date of the Letter Before Claim before being able to issue proceedings under the Protocol. The thinking behind this is that it gives the parties plenty of time to attempt alternative forms of Dispute Resolution to resolve any dispute or to discuss payment arrangements. However, if the parties reach an agreement regarding the debt but the agreement breaks down, an updated Letter Before Claim will need sending to the debtor and the creditor must comply with the protocol again, before issuing proceedings. If reaching an agreement is not possible despite the protocol having been followed, in order to try and avoid proceedings, parties must “take stock of their respective positions” and the creditor must normally give the debtor 14 days’ notice of their intention to start Court Proceedings. Because of the additional time, possibly up to 74 days, that the protocol now adds to the process creditors might need to consider starting debt recovery procedures earlier than they might have in the past.